The greatest crossover to ever happen (even if it’s only an SNL clip). 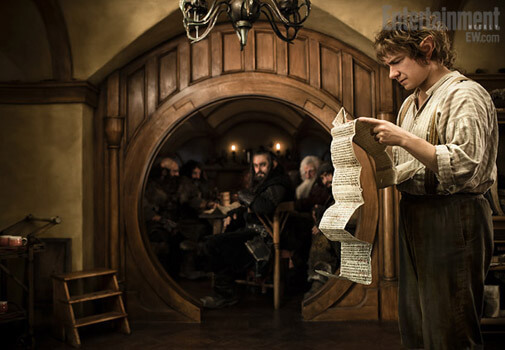 What if Wernham Hogg Paper Company was in Middle Earth? Love it. 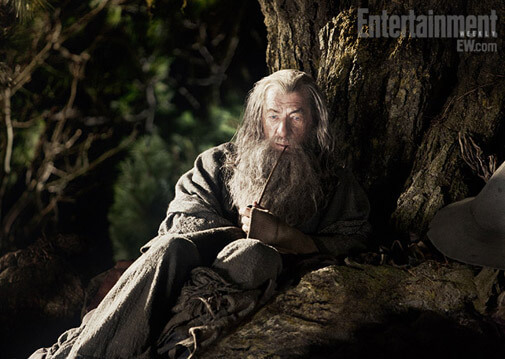 After several years of waiting, I finally saw the first installment of The Hobbit. Even with all the anticipation and the anxiety about the story being broken up into three films, it was truly excellent. The magic and fun of the story are easily captured and the epic scale of the original trilogy is well maintained. 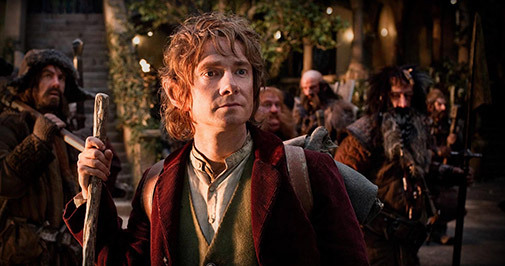 Especially wonderful is the opening scene, showing an interaction between Bilbo and Frodo just moments before The Fellowship of the Ring begins. It’s a perfect nod to the trilogy we all love and shows how this new series of films will fit right in. 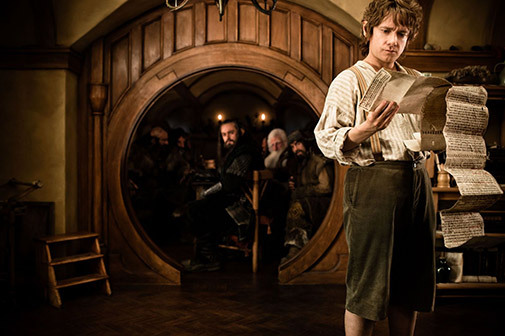 And the very best part is the magnificent Martin Freeman, portraying the simple, yet courageous Bilbo as we always imagined. 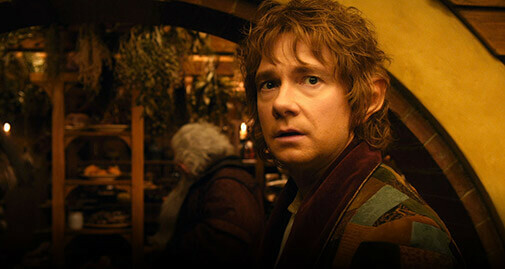 Today is Bilbo and Frodo Baggins’ birthdays. 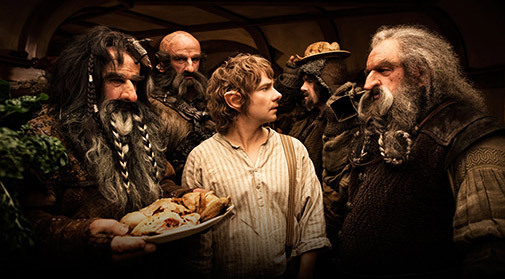 Celebrate your love for adventure-seeking hobbits with a drink and a smoke, and don’t get too full on second breakfast! 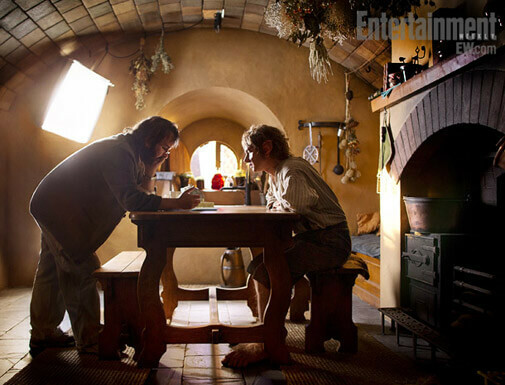 Entertainment Weekly recently posted some first look photos of the much anticipated Peter Jackson film The Hobbit. 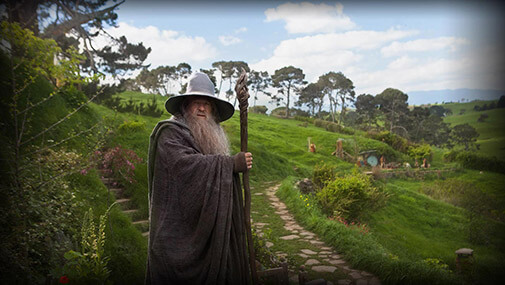 Jackson made history with the three The Lord of the Rings films and ever since we’ve been anxious for the completion (and technically the start) of the much lighter and more fun prequel. 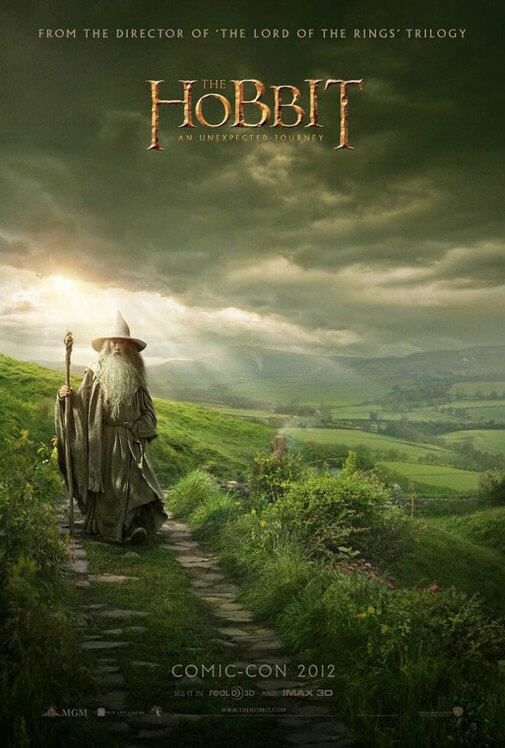 I was thrilled when Martin Freeman was announced as Bilbo, but I’m not so thrilled the film is being split into two parts. Along with being released a year apart, the films are also set to feature characters who don’t appear in the original book. Regardless, I’m still very excited to see the final product.